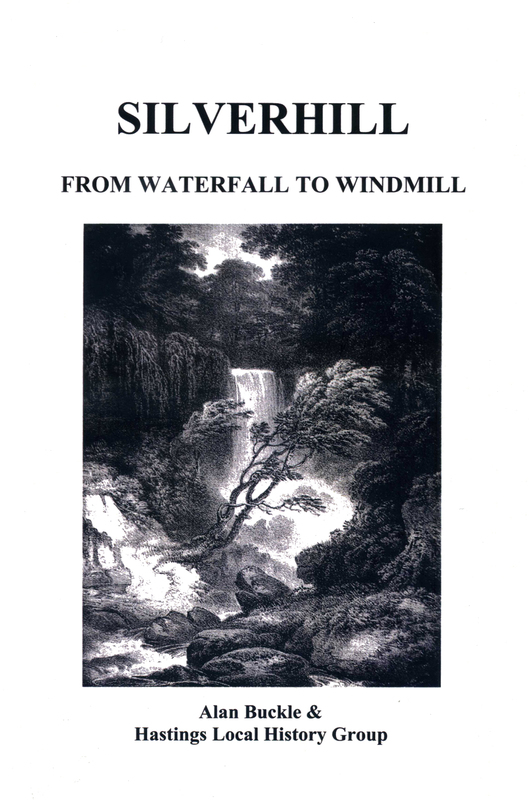 Silverhill – From Waterfall to Windmill. Reviewed by Edward Preston. This work covers an area of the town which has seen considerable change from its early days as a farming and rural locality to its present intensely developed residential district with light engineering. There would apparently be little room for further research, since it has been undertaken meticulously by Alan Buckle, aided and abetted (to quote Dickens’ “Births – Mrs Meek of a Son”) by the Hastings Local History Group. However, this is a book for dipping into for snippets of information, rather than to be read through, for the intense detail can be overpowering. Indeed, there can be no room for anyone to claim to have been ignored, for the name of every person who did anything in the area seems to have been included. One irritation, to a pedant like me, is the inconsistency in the use/non-use of the apostrophe; e.g. sometimes on the same page will be found: St Lukes and St Luke’s. Factually, it is mostly free from error, although there is a serious mistake on page 54, where it is stated both in the text and the caption that the foundation stone of the new Parish Hall was laid by the Mayor – Alderman R H Bryant. Whereas it was laid on 21st June, 1959 by Alderman Cecil Barfoot, JP, Deputy Mayor of Hastings and Rector’s Warden, as is clearly stated on the foundation stone itself. This demonstrates the danger of simply accepting newspaper reports, and leads to the perpetuation of error. Clearly, much original research had to be undertaken, since apart from Elizabeth Montgomery’s The Story of Silverhill and St Luke’s, and Alan’s own book: An Independent Chapel – The Story of St Luke’s in Silverhill, 1853–2003, virtually nothing had appeared in print about Silverhill, other than odd references. 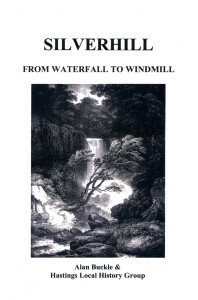 With a multiplicity of photographs and maps, some apparently published here for the first time, and all aspects of life covered, this is a tour de force, full of interest if taken in easy stages. Many readers will be fascinated by the information, recalling memories of schooldays, places of work, and the shops and services lost forever as we ‘progress’. It is certainly a valuable addition to the local history bookshelves. Edward Preston, 28 March 2014. I remember going to the Cinema (The Silverhill Picture House) on a Saturday afternoon, before the war. It cost about “3pence”.